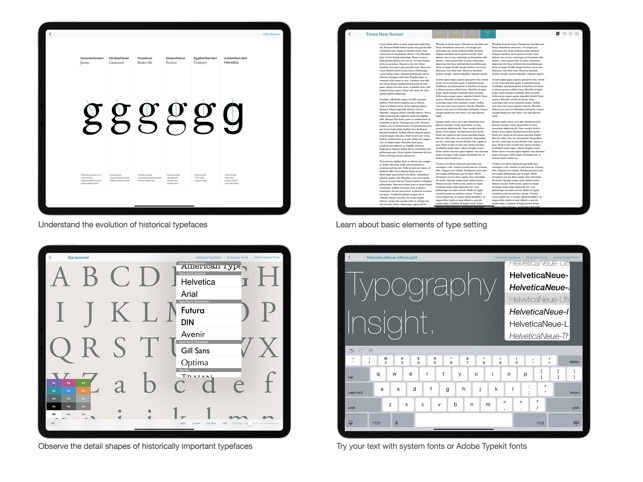 Typography Insight is a toolkit for learning & teaching typography, designed for those who love type. You can learn about historically important typefaces, observe and compare them. 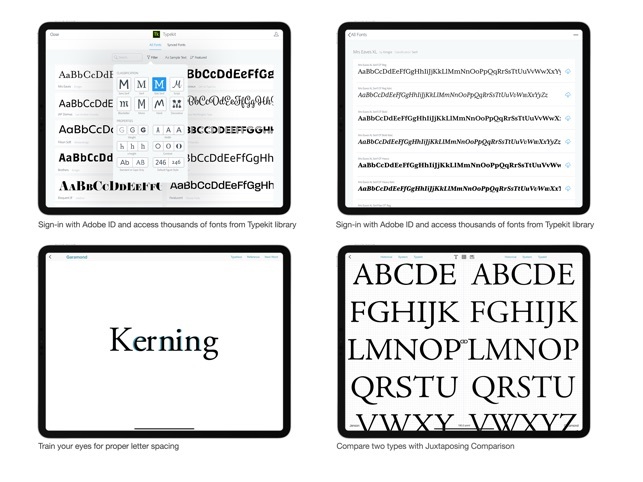 Now you can access system fonts and thousands of fonts from Adobe Typekit with Adobe ID. ● The Atlantic - "Learning the subtleties of Helvetica and Garamond used to be a pain—but a sleek new app has made the process easier" "Typography Insight: iPad App Teaches Fonts Like Never Before"
● Gizmodo - "Typography Insight is sort of like an iPad typeface encyclopedia. Only encyclopedias are boring, and Typography Insight is beautiful and fun." 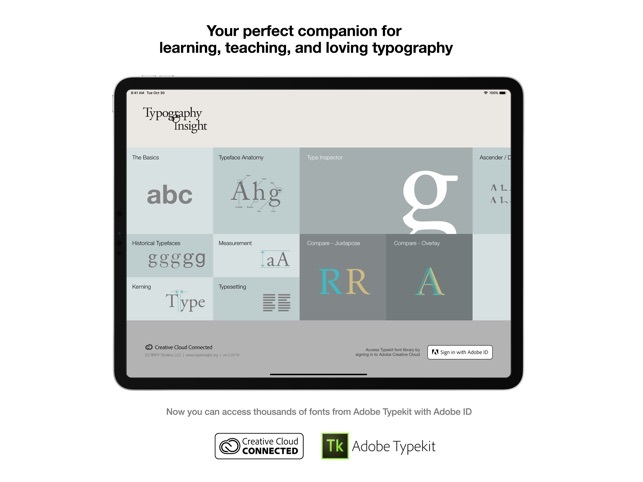 "Typography Insight Makes Learning Fonts Gorgeous and Easy"
- Completely updated and optimized for iPad Pro series! 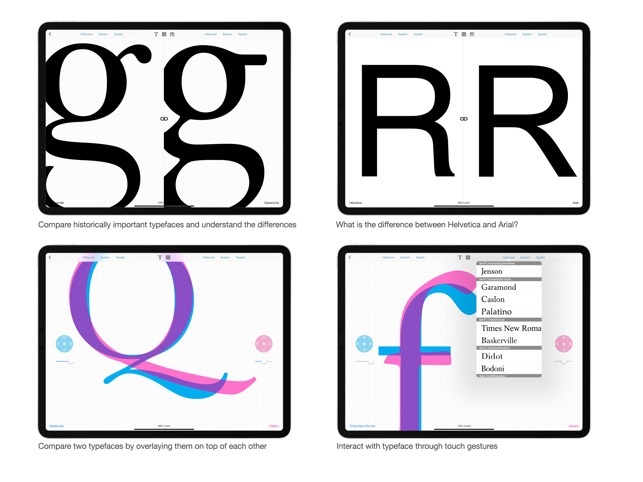 - Interact with beautiful typefaces on iPad Pro's large screen. - Now you can observe and compare all system fonts. - Redesigned Type Anatomy section. - Added support for color options in Type Inspector. This is a great application for those who are interested in the study of Typography. 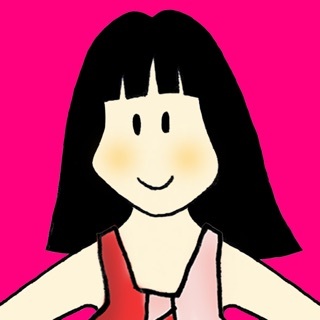 The app title is a perfect description as you can gain insight into the study of Typography with a learning basics section, a section on the main examples of fonts and styles used in our everyday life, and even learn directly with practice activities contained inside. The design itself is a compliment to the application as you can easily navigate the clear white interface that allows you to hone in on the visuals presented without any external visual noise getting in your way. The app wouldn't be as effective with bad design and it also would be somewhat ironic if it had. As an aspiring typographer myself, I find this app extremely useful. 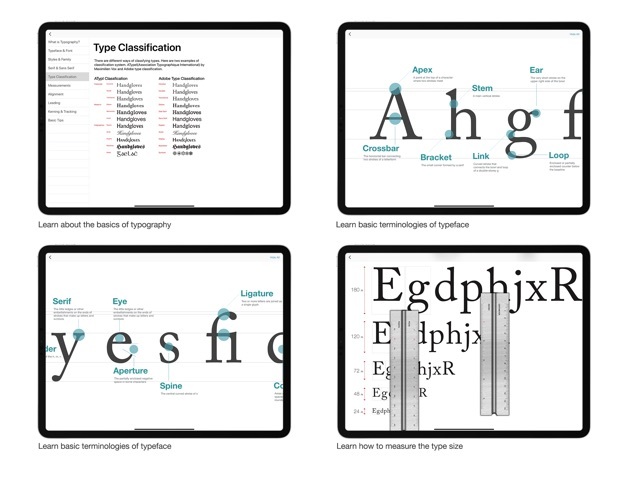 Not only does it have references, complete access to Adobe Typekit, and 3 categories of information, but there are practice activities where you can get better at kerning, measuring, comparing, etc. I would highly recommend this to anybody interested in Typography. Just a neat series of little interactive displays that teach you all sorts of things you never knew about typography. 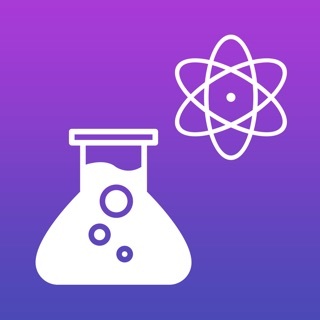 A fun relaxing app with a clean, intuitive interface and a pleasant design. 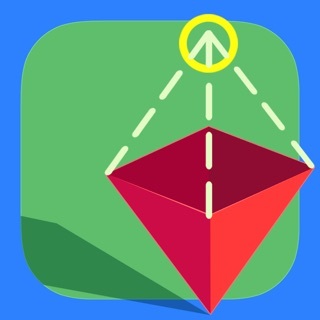 Makes you wish more apps would follow suit. 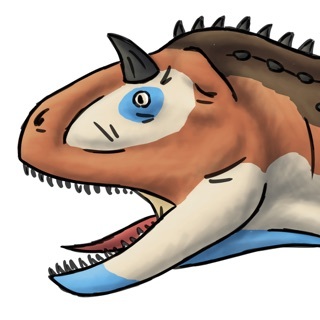 Look forward to future updates.